In search of a great meal and wonderful customer service? Venture out and explore! 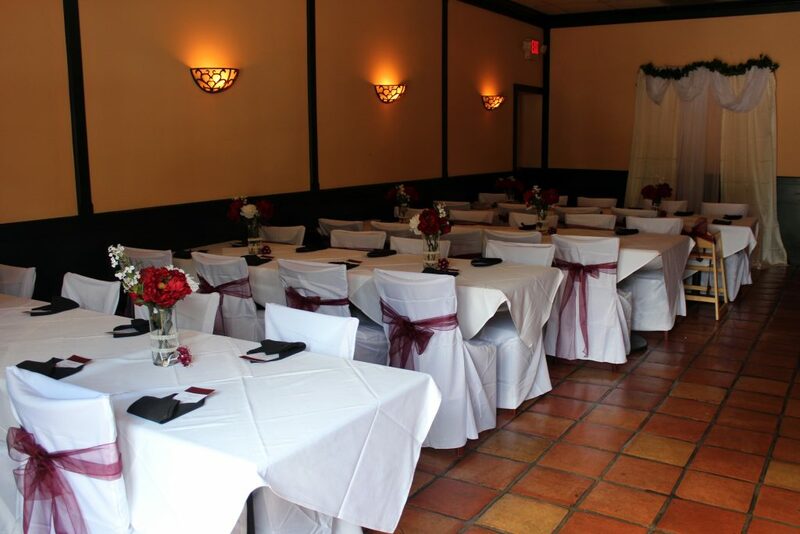 An award-winning dining experience awaits in the heart of Carrollwood. Luckily for those of you in the area, you don’t have to drive very far to enjoy a mind-blowing meal with a nice glass of wine or a cold beer. As for my husband and I, the 35+ minute drive from our home in Tarpon Springs to Michael’s Grill, is always worth it, and let me tell you why…their quality, consistency, and attention to detail in both their meal preparation and extraordinary customer service are second to none. 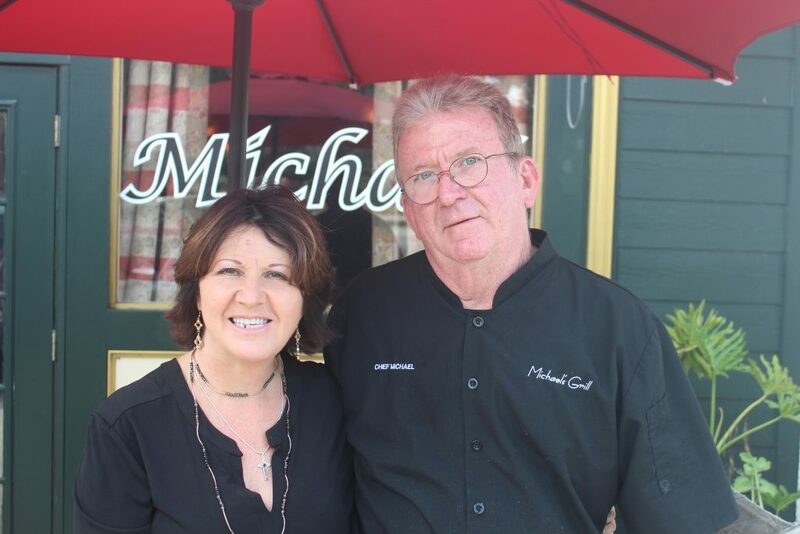 Every time I’ve visited Michael’s Grill I’ve been enthusiastically greeted by the owners, Chef Michael and his wife Andrea, seated in a beautiful table with fresh cut flowers, served the most delicious food and treated like a member of the family. Conveniently located at 11720 North Dale Mabry Highway, and open 7 days a week, Mondays through Fridays for lunch and dinner and Saturdays and Sundays for a fantastic breakfast, Michael’s Grill is one of those rare neighborhood gem’s that will keep you coming back for more, no matter where you live. 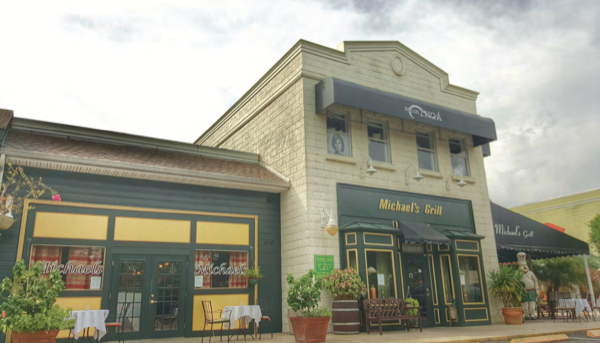 At Michael’s Grill you can enjoy a great selection of fresh seafood dishes, savory chicken entrees, juicy steaks, mouth-watering kinds of pasta, home-made soups, including their award-winning She-Crab bisque, and a wide variety of sandwiches and bountiful salads. By hand selecting all the veggies and other ingredients from local farmers markets, and obtaining only the freshest seafood and cuts of meats, Chef Michael and Andrea ensure that everything they put on your table is always fresh and of the best quality. 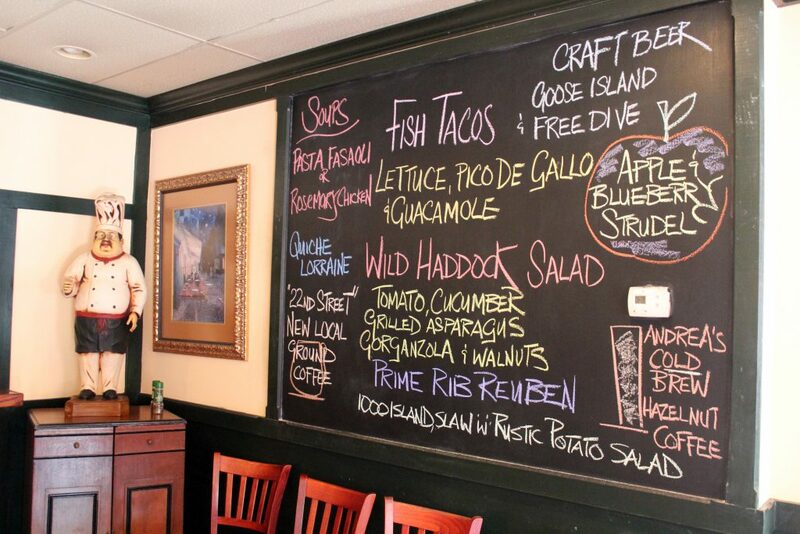 They also like to feature savory specials with tasty seasonal ingredients, so whenever you visit, make sure you check out a list of all specials on the blackboard on their wall to see what deliciously fresh dishes Chef Michael is offering that day. With so many spectacular qualities that keep this place at the top of my all-time favorite restaurants in Tampa Bay, it comes to no surprise that Michael’s Grill is about to celebrate their 18th anniversary serving the community. “We opened our doors back in 2000, that was the same year we got married,” said Andrea with a big smile on her face, as she reminisced about what an incredible journey has been thus far. Some would say, working side by side with a spouse isn’t typically a recipe for success, but these two are an exception to that rule in every way. Their relationship is stronger than ever and they are still best friends to this day! Even though Chef Michael and Andrea come from different countries, both of them grew up surrounded by family members who appreciated the art of cooking a great meal with only the freshest of ingredients. For Chef Michael, growing up in Miami helped him develop a strong passion for everything seafood, although he admits that a nice juicy cut of steak is also right up his alley. For Andrea, growing up in Lakenheath, a small village in England known for its agricultural fields and produce, meant having to help her parents with all the farming responsibilities. “I grew up knowing the importance of fresh produce, hand picking vegetables and learning how to cook them in many different ways,” says Andrea, who till this day, hands pick all fruits and vegetables from local markets here in Tampa Bay to make sure that everything they bring to your table is top quality. Chef Michael and Andrea’s culinary backgrounds meshed perfectly into this American / European fusion, which can only be described as one word; delicious. And while Chef Michael prepares all the main entrees, Andrea is in charge of the desserts… oh, and she also makes an amazing Sangria! As a seafood lover myself, I asked Chef Michael to surprise me with a dish that would perfectly represent his and Andrea’s culinary journey of fresh seafood and fresh veggies, so he presented me with a mouthwatering Salmon dish that was truly remarkable. The Salmon was perfectly cooked and was topped with a black olive, feta cheese, and sun-dried tomatoes and accompanied by a fresh veggie and couscous medley. Yum! As if that wasn’t enough, Andrea and Chef Michael also allowed me to try one of their signature lunch sandwiches; The Eiffel Tower. Now, if you’ve read any of my food stories, you’ll know by now how much I love bread. So let me tell you that this sandwich stole my heart at first bite. 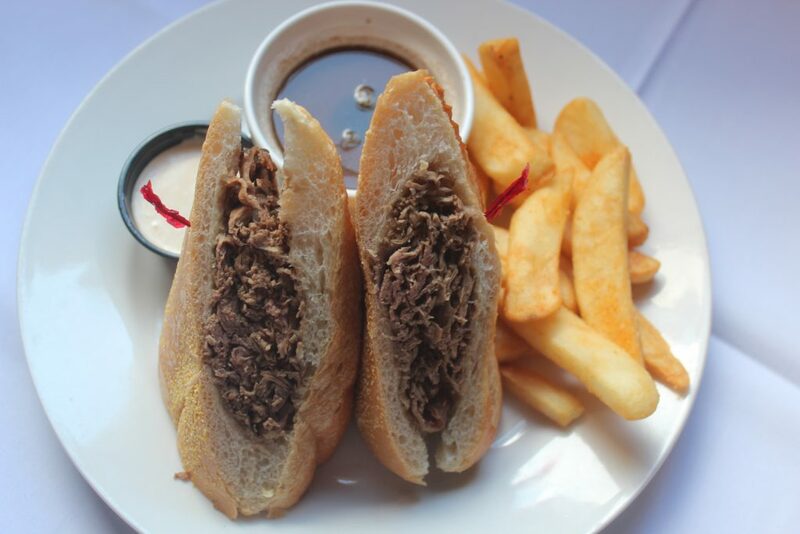 Piles of house sliced and roasted roast beef served on a warm, soft yet crispy french bread, with au jus and horseradish sauce for dipping and a side of steak fries. Definitely, a must try! 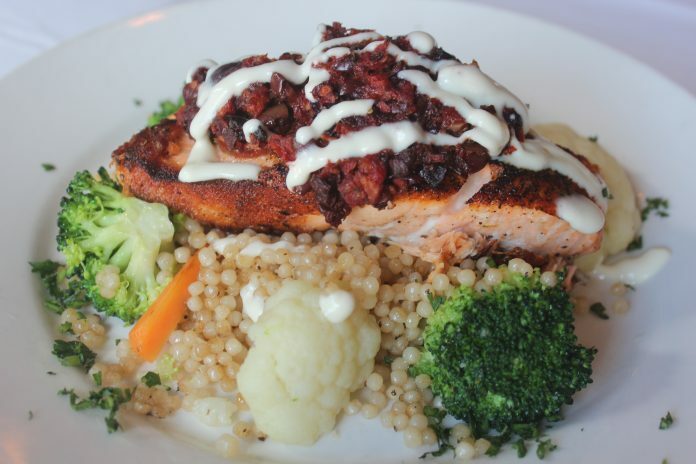 “Some of our guests’ favorites are the Wasabi Crusted Tuna, the Rustic Salmon and the Steak Au Poivre. 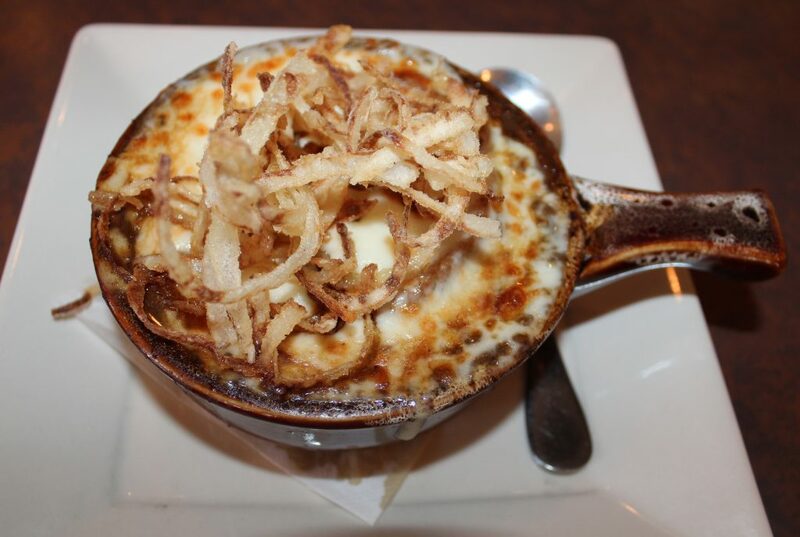 Of course, the crab cakes, our award-winning She-Crab bisque and the fried brie are a must!” says Andrea. 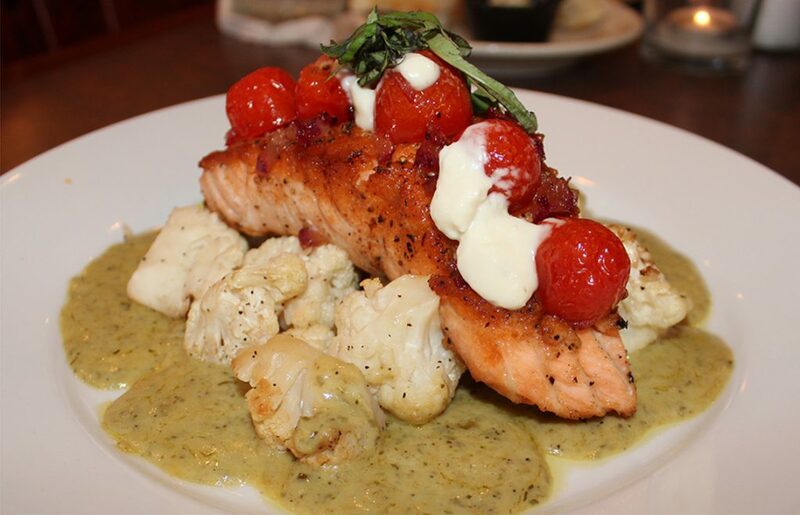 On a previous visit, I had the pleasure of trying the Rustic Salmon, and it was truly unbelievable! A personal favorite of mine as well. This dish consists of a pan seared, succulent, which piece of salmon topped with a warm fresh tomato ragu, and honey goat cheese. Served with roasted cauliflower and a pesto cream. “Our breakfast on Saturday and Sunday is delicious,” says Andrea. I can honestly say that their eggs Benedict are some of the best I’ve ever had. Chef Michael even prepares his Hollandaise sauce from scratch! It’s very creamy and savory with a hint of lemon. You may also want to try the croquet madame, which consists of ham and swiss cheese on Texas toast topped with fried eggs and light cheese sauce. And their mimosas are always $3.99! Chef Michael shared with me that he truly loves what he does. He loves the instant gratification he gets from being a head chef and restaurant owner. “I love the fact that as soon as I am done with a dish I can see the customers’ faces and reactions. I love hearing their compliments from across the bar and every time someone gives me a thumbs up, I feel an enormous amount of instant satisfaction. You cannot get that at all jobs,” says Chef Michael. 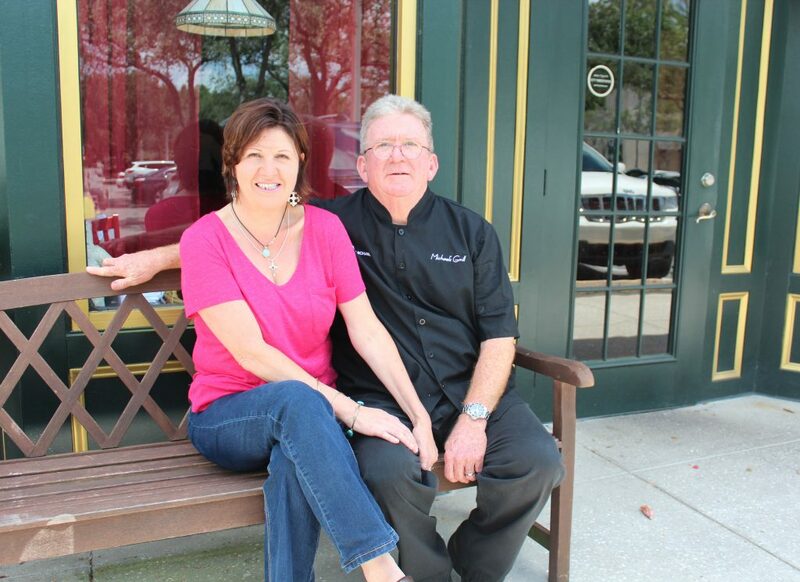 Andrea and Chef Michael would like to thank everyone that has supported them through all these years. “Thank you from the bottom of our hearts for your incredible support throughout the years. It’s been a pleasure serving you and getting to know you and your loved ones. It will be 18 years this December, and we wouldn’t be here without your amazing support and loyalty,” says Andrea.